Writing 201: What’s Your Angle? Your angle is the precise way you choose to tell your story — it’s the element that sets your story apart from all the rest. Let’s look at how to identify your story’s angle and how to build on it to create engaging, original prose. What’s your story? It’s all in the telling. They say that there are no new stories. In fact, author Christopher Booker suggests that every story ever told is a variation on seven basic plots. So, how do you differentiate your story from every other comedy, tragedy, memoir, quest, or rebirth? The answer is in the specific angle you use to tell your tale. Consider Eric and Charlotte Kaufman’s story. According to CNN, the Kaufman story is a dramatic US Navy rescue. The Kaufmans’ storm-damaged boat is far out at sea — three weeks away from medical attention — when their baby becomes seriously ill. Legions criticize the Kaufmans for putting their daughter’s life in danger simply by being so far from land and modern medical facilities. Same topic, distinct angles: Think about how people from all walks of life tell tales on a single topic. In the New York Times‘ column, Modern Love, you’ll read a mix of stories about love, relationships, and marriage. What’s your take on a topic? Ira Glass tells Eric and Charlotte’s story on This American Life, but from a very different angle: Eric and Charlotte are experienced sailors. They’re similar to many families who routinely make the same sea crossing with very young children. A series of mishaps forces Eric to call for help to ensure their baby’s safety. Calling for help, Eric and Charlotte knew they’d lose their boat — their family’s home — and all their belongings. Anyone can tell a story using straight facts — the who, what, why, when, where, and how — of a story. What makes for the most interesting writing and the most interesting reading is discovering a new angle from which to tell that story. Sometimes a story falls into your lap. 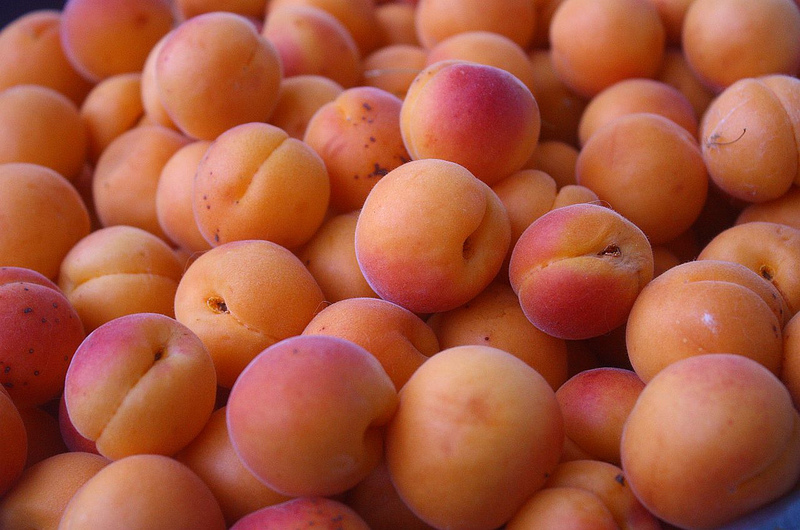 Once, about a hundred pounds of apricots fell into mine. They came in three big boxes, and to keep them from crushing one another under their weight or from rotting in close quarters, I spread them out on a sheet on the plank floor of my bedroom. There, they presided for some days, a story waiting to be told, a riddle to be solved, and a harvest to be processed…The reasons why I came to have a heap of apricots on my bedroom floor are complicated. They came from my mother’s tree, from the home she no longer lived in, in the summer where a new round of trouble began. Is your story simply about a childhood trip to the beach, or about how your perspective on your dad changed when he taught you how to swim that day? Is your story about a fight you had with your best friend, or about how you learned that in giving in, you’re really gaining? Is your story about the drudgery of taking your know-it-all, impoverished father-in-law out for lunch each week — or that sometimes love and duty are the same thing? Is your story about the chaos and culture shock of traveling to Vietnam, or about how much you need and crave the growth that traveling offers? Is your story about the fact your mom was often mean-tempered when you were a child, or that you’re terrified that you’re exactly like her? Finding your angle can be the most challenging and rewarding aspect of the writing and editing process. Here are some ideas to help you find your angle in a piece of writing. 1) What makes you you? Which elements of your experience and unique perspective couldn’t possibly be present in someone else’s story? At the age of twenty, having published nothing, and having had little guidance in my reading, I decided that I wanted to write. I was driving a feed truck that winter, making runs to the Canada Packers in Winnipeg where I picked up meat meal, ground-up bones and meat that would be mixed in with grain, which would then be fed to layers and broilers. The smell permeated my clothes and my nostrils. As I waited in line behind other truckers, I decided to use that time to write. Looking back, I should have been writing about the characters I met at Canada Packers, about the stories they told, spoken in great vernacular, about their lives, which were so different from mine. These were men who were in their forties and fifties and had worked at the same job for years. I was young, working a temporary job. I had my whole life before me. I was aware of these men, but didn’t see them as subjects for a novel or a story. 2) What original details do you see in your story? Collecting original details: “If you ask a group of people to write about the contents of their closet, each person would likely approach the same subject from a different angle.” Adair Lara offers more tips to help you find your specific angle and gather the details you need for your story. Something might coalesce, a story charged with the significant, shimmering detritus of a single day, the flotsam of dreams and flux of crowds, intimate moments with strangers in elevators, errant lusts, the crunch of a peanut in a curried prawn dish. The thick scent of the organic oil of oregano I’d bought to fight a cold, a dense furry smell still clinging to the hotel glass I drank it from, just before dawn, a long way from home. 3) How can you mine your personal history for just the right angle? Dig into memories of “magical” childhood adventures. Tap into your inner world of dreams. Think about the experiences that have moved, affected, or changed you. Consider your peculiar passions, esoteric interests, and pet peeves. 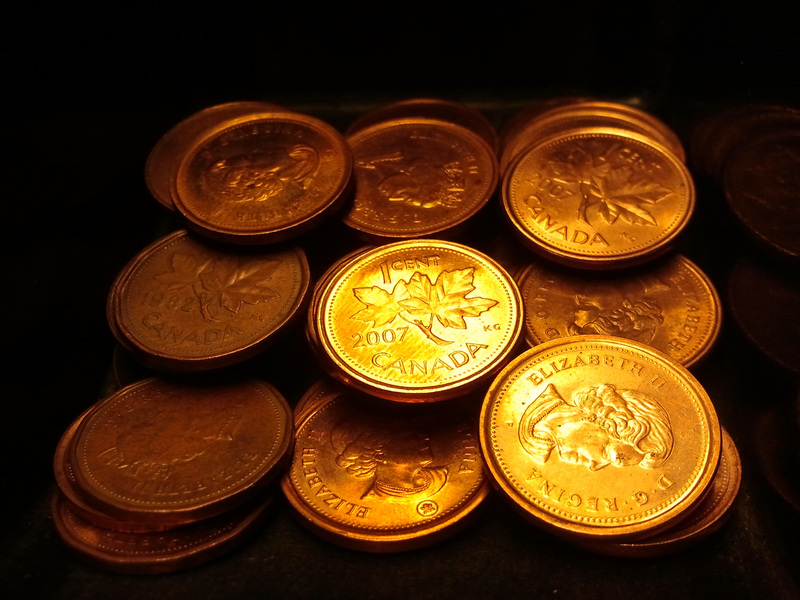 In Seeing , Annie Dillard begins her essay by recounting a story from her personal history — her childhood delight in hiding pennies for others to find. She expands that idea into writing advice to us all, to always be on the lookout for the small treasures that surround us. 4) Once you’ve got detail, look even closer — a new angle may be waiting to surprise you. Take a page out of Amy Tan’s book. She finds new details by looking closely at familiar items. Revisit old diary pages or letters and compare past you and present you. Research an event you once attended to gather big picture details and to place yourself within it. Compare notes with others who were also there. “Build up” a memory with outside sources — then see where and how your perspective fits. I try to see as much as possible — in microscopic detail. I have an exercise that helps me with this, using old family photographs. I’ll blow an image up as much as I can, and work through it pixel by pixel. This isn’t the way we typically look at pictures — where we take in the whole gestalt, eyes focusing mostly on the central image. I’ll start at, say, a corner, looking at every detail. And the strangest things happen: you end up noticing things you never would have noticed. Sometimes, I’ve discovered crucial, overlooked details that are important to my family’s story. This process is a metaphor for the way I work — it’s the same process of looking closely, looking carefully, looking in the unexpected places, and being receptive to what you find there. When you consider an event in your personal history, try to immerse yourself in the memory: what did it feel like to be there? What emotions did you have, if any? Thinking about this event years later, have your perceptions of that event and the emotions around it changed or evolved? It’s perfectly okay if things feel nebulous or you’re not sure where a thought or memory might take you. Revision takes time and perseverance. The important thing is to keep at it. 5) Consider using an object as a way “in” to the story. Writer Andrea Badgley suggests that objects hold their own stories — that any object can be a talisman infused with meaning. Objects are evocative; they hold stories…Take something small, and concrete — a thing, a noun — and use that as a starting point. You may simply want to describe the object: what does it look like, how does it feel, does it have a scent, a flavor, does it make a sound? Or you may want to use an object as a focal point to expand into something bigger. I wrote about rolling pins once, and a cookbook another time, and both led me into old kitchens, and musings of grandmothers, and recollections of favorite family meals. A piece on pie led me into my son’s Buddha soul. You never know where you might end up. Show us where an object leads you. What objects are most important to you, that you keep from move to move, refusing to throw away? There’s a chipped, yellow ceramic teapot that sits on my fridge. I never use it to make tea. My husband hates it. Why do I keep it? It belonged to my grandmother, who has long since passed away. Every time I see that teapot, I see my grandmother’s smile and remember her easy laughter. What objects speak to you and what do they say? Using an inanimate object might be the way to find your unique spin on a universal story. Sometimes, the struggle to find the right angle becomes part of the story itself. Consider Wendy Rawlings’ love story on Bending Genre, in which she struggles to find the precise angle from which to write about her romance with an Irish man. And now, over to you. Choose any piece of writing you’d like to improve and reread it. What’s your angle? What’s your spin? How can you approach this topic or issue or tale in a way that shows your imprint and your experience? Worry not if the angle isn’t immediately apparent to you. Editing takes time and thought. Writing often needs to sit and steep, just like the best tea. If you’d like, set this piece down for a while. Take a walk and return with a fresh mind later today — or in a few days. You never know: the perfect angle might come to you while you’re in the shower or doing the dishes. If you’re not interested in working on a personal essay or piece about you, you can still apply these ideas and techniques to other forms of writing, or if your subject is someone else. Also, remember that there are no official assignments this week, and you don’t have to publish anything on your blog (unless you want to!). If you’re not sure you’ve pinpointed the angle for the particular piece you’re working on, or have questions about the ideas in this workshop, head over to the Commons to share an excerpt of your work and get feedback from your peers — they may think of an angle that never occurred to you. I’ve always written from my own point if view. This has made it personal with the result that it’s always my angle. so maybe… keep the structure of that story for yourself and then share some possible variations, that you are unsure about, for more like brain-storming feedback or different perspectives ? Maybe. I guess I’ll just have to wait and see how others respond, and use their responses as an example. You have to do what you’re comfortable with, but my experience of writing workshops is that it’s hard enough for people to get their own work published and there just isn’t much incentive to steal anyone else’s. Unless you’re working on a very hot topic indeed. @flippyzipflop — yes, absolutely — please feel welcome to participate in a way that doesn’t jeopardize your project. If you’re looking for specific feedback, perhaps posting just a short excerpt in the Commons might be helpful for you. Okay. I’ll keep that in mind. Thank you. Ah, wonderful, @Swav! Great to hear! Hope you enjoyed your walk, and that it was fruitful for you. Super post. I like the concept, but with blog posts I like to keep things direct and simple. Attention spans are getting smaller by the day! For short stories, however, this angle technique could be useful and add something unique. It’s not too late! You’ll get a welcome email and Commons access tomorrow (Monday in the US). Thank you very much Michelle! I finally received the email! I haven’t clicked the link to the commons, and yet, there’s a blog that has appeared on my account page. It’s called Writing 201 July 2014. If you happen to pass by this post, I’d like to ask what it’s for since it was never mentioned in the announcements.And everyone did say Writing 201 has no specific writing assignments and we could use the lessons outside of WordPress.Thanks again for replying to my query about joining Writing 201! Yay! Ooops! Please ignore my other question about a “blog” that just appeared on my blogs management page…there’s no delete-button for these comments! I now know that’s a special link to The Commons! But I’d like to thank you again, Michelle, for replying to my query about whether it was too late for me to join Writing 201! I was definitely relieved at not having to wonder anymore! This… is what makes daily post blog a great blog. To read posts like this is why I follow The Daily Post blog. Please keep posting article like this! This is great to help overcome writer’s block! I feel better knowing that I’m not the one who spends a heck load of time editing and editing and editing. I think this piece on angling is really important because it can shape your story into either one of the extremes tremendously. With that being said, I tend to use personal angles as well. I don’t see a point in trying to force a specific view and perception that isn’t true to yourself. My style of writing is mostly humor as well, so angling kinda applies to the jokes I guess. Looking forward to tweaking a storyline from obtuse angles and integrating various perspectives of individual contacts. Pennies brought together to a similar spot through time. I notice my focus redirects but certain points resurface and linger to be reviewed again and again. I’m always interested in what a barstool has to say. In fact I’ve been know to carry a conversation with or two. great! really interesting isn’t it? 🙂 Thanks for commenting. Nice blog you got! I would imagine that a barstool would have a wealth of stories to tell! Definitely! I really need to find that piece…or I have to start again from scratch. I can’t recall where I saved it! I really hope you find it! Haha! It seems as though many other people would like to read it, too! We’re glad you’re here! Welcome! I usually write from my own perspective as well, but now I’m thinking what if I used a different perspective? I believe that the pieces that I have written for the mag have been simply reporting facts, but they lose all of my “great personality.” I want to find my own voice and still be professional. Maybe I will do a before and after type of thing and ask the Commons which is better? Would that work? You’re more than welcome to present excerpts of your work for discussion in the Commons. For best results, check out Cheri Lucas’ primer on workshopping. She offers some great tips on getting the most out of the experience. This is great. There’s always new angles to explore. Each time I go back to proof read or edit, something gets changed, and it always turns out better than the last version. Thanks for this. Are you really a poetry snob? it’s Ok if you are. I’m a bourbon snob. ha.. I don’t blame you. Can’t have just any type of bourbon. I’m just a snob with my own poetry… and tequila, but that’s a whole different blog title. Lots to think about here. Perfect for the post I’m currently working on. Finding an angle to story…telling the tale, is always angst producing and this autodidact thought “use” guys ( I’m from Chicago) would go small. You didn’t. I’m curious now. Somehow this just opened up for me a juicy curiosity. My writing light has been sparked. Very helpful…I joined today and did not see the writing commons on my blog yet..Is that still possible? Hi @Earth Angel — I’ve sent you two invitations to the Commons — please accept the second one. Hi! I signed up for 201 via the form a couple of days ago but I haven’t received an email. Did I miss a step in the applications process? Thanks for the help! I find if I let my other half take over things for a bit, I feel like writing again. I think the key advice in thes article is to sort out things as they come if writing a new piece. Even old ones can be hard to sift. Depends on what you are looking for when you write, it, who you are at the time. So many me’s I lose count. My own urge to write sprang from a deep desire to create magic worlds for others to experience, even if only for a short while. I wanted the power to suspend the disbelief in others the same way my most-beloved wirters suspended my disbelief, though I didn’t know the technical term at the time. To make people live my stories is an end in itself. From the moment I learned how to read, I read avidly, unable to put a book down, or go to sleep, until my eyes almost hurt. I knew then I wanted to be a conjuror of words; to cast spells that free readers from their everyday lives and open windows and doors onto the worlds captured out of thin air by imagination. I’ve even edited this bloody comment over and over again! Nice bit of editing here. Your comment flowed smoothly, and was very engrossing (a word, I think, for suspension of disbelief). I’d be interesting in reading some of your work, if you are of the propensity to share it. It’s always nice to read someone outside of your own head sometimes. Thanks for your comment, though I notice I missed ‘wirters’ for writers. Obviously a new eye test is needed. http://pedersenslastdream.wordpress.com/ which is centred around a novel I keep trying to finish, and the journey into Arctic Norway that helped create it. http://bryanhemming.wordpress.com/ a blog featuring a number of subjects, including short stories, photography, comments and articles. http://olafmosely.wordpress.com/ This blog is a compilation of humorous short stories based around the fictional pueblo of Santa Catalina in Spain, where I now live. I have also used it to post my novel At the End of Tobago Street, mainly set in London..
There’s quite a bit of reading there. I discovered recently to tell a story from the perspective of all the characters involved in my books. Many times, writers tell the story from their perspective. Positive and negative characters have a life on their own and their thoughts and ideas count too, even if they are not correct, from ethical point of view. This shows the inner life of the characters. I tried registering for Writing 201 twice now but never got an e-mail with access to the commons. I clicked the link and just requested access to the blog. Can I still join? Hi @Mrs. Isinvar! I’ve sent you an invitation to the Commons. This is really, relly interesting, lots of food for thought and ideas to mull over. Thank you. This is what I have been looking for. This article opened me up and I can not wait to get done with today’s dinner at my house, sit with my laptop and write away. It’s great how this article applies to both poetry and stories. I guess now is as good a time as any to try it out! In everything I have written before now I have always struggled with “how to tell my story”- I am not a published writer yet but I like to think that I will be someday soon- So very happy you blogged this.